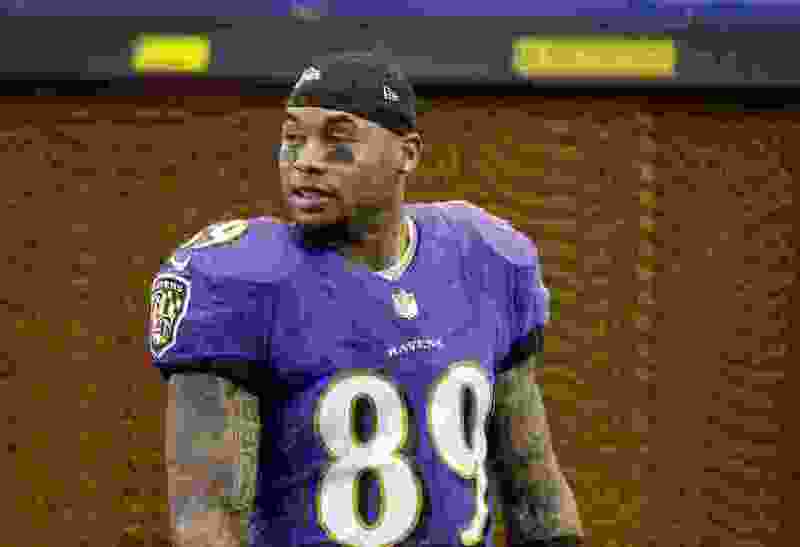 Over 16 seasons in the NFL, Steve Smith Sr. developed a reputation for being one of the toughest wide receivers in the game. But he never really appreciated the accolades and stats he piled up, he says now, because he was struggling with depression throughout his playing career. Such struggles among pro athletes have become a regular media topic in recent days; last weekend, for example, former Eagles great Brian Dawkins said in his Hall of Fame induction speech that his deepest days of depression led him to consider methods of suicide that would allow his family to collect on his life insurance. For Smith, the 1,031 career catches for 14,731 yards (eighth all-time) and 81 touchdowns with the Carolina Panthers and Baltimore Ravens didn’t really register, he wrote in the column, because of his internal battles. His playing persona seemed invulnerable, impossibly strong and feisty, willing to take on all defenders. But he wrote that the question “what’s wrong with me” dogged him during the “highs and lows” of his depression. Now Smith, who retired after the 2016 season, says he feels free “for the first time,” crediting counseling for the change. “I’ve learned through hours and hours of counseling — and am still learning — so much about the battle I fight within,” the former Utah Ute wrote. “I find myself, as an extreme introvert defined by my counselor, looking for excuses on how to avoid large crowds and retreating during public appearances, big events and even family gatherings. Being in public is a constant struggle, not because I don’t want to attract attention or think I’m ‘important,’ but because of my inner battle. “There’s nothing wrong with me, nor is there with anyone else who suffers from depression and other mental health disorders,” Smith concluded. “All human beings have strengths and weaknesses, physical and mental. You’re defined by how you play the hand you’re dealt in life. I’ve spent the last year grieving, in a sense, the fact that I no longer am a football player — the one thing I have been my entire life. Reidentifying myself has been quite the process and learning to be okay with that even more so.